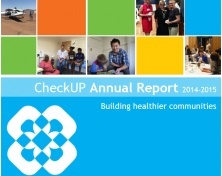 In January 2013, the launch of CheckUP Australia marked the culmination of the organisation’s transition into an independent industry body dedicated to advancing primary healthcare. Previously known as General Practice Queensland (GPQ), our organisation is committed to meeting the challenges of a changing healthcare landscape by building and fostering collaborative partnerships, networks and expertise to deliver practical solutions focused on best practice outcomes for a better primary healthcare sector, and better health for all. As a not-for-profit company limited by guarantee, CheckUP is governed by a Board of Directors who possess a diverse range of skills and experience, and as the governing body of the organisation, provide strategic direction and leadership. 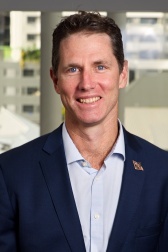 Experience: Formerly the CEO of one of Queensland’s largest professional consultancy firms, Colin now sits on a number of Boards with a range of roles including Chairman, ED and NED providing strategic guidance and corporate support. He has over 25 years business experience as an executive across many different industries specializing in business growth at both strategic and operational levels. Well-equipped in the areas of corporate advisory, strategic growth, growth solutions, change management, performance management, operations efficiency and people management, Colin enjoys working with others motivated to growing their businesses. Areas of interest: Business growth & development, performance, team growth & achievement, innovation and preventative healthcare. 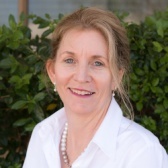 ​​ Experience: Jennifer is the Chief Strategy and Partnerships Officer ,The Richmond Fellowship Queensland (RFQ) . In August 2018 the Mental Illness Fellowship Queensland (MIFQ merged with RFQ. As Chief Executive Officer ,MIFQ Jennifer executed the merger in partnership with the CEO of RFQ. Jennifer has had a range of Commonwealth, State and NGO roles across diverse human services portfolio ( child protection; disability services; quality and accreditation; mental health and employment services). She gained her interest and diverse networks in the non - government sector through the Community Services funding and contract management function in the State department of Health. 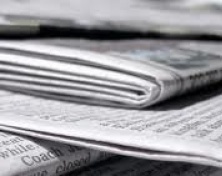 This interest followed through to voluntary Board contributions to PACT (Protect All Children Today); ADA – Aged and Disability Advocacy ; The Eating Issues Centre. Areas of interest: Leadership and culture; philosophy; corporate governance; collective impact and partnership models. 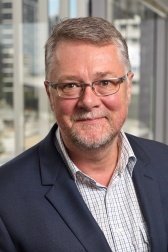 Experience: General Practitioner since 1984, Company Director (NZ, UK, Australia) since 1983, Business Consultant/Auditor since 1986, Director of Gold Coast PHN and Improve Australia. Areas of interest: Clinical teaching (Registrars), Corporate Governance, Not for Profit Organisations, Financial Performance and Auditing, Change Management, Econometric Modelling of Health Care Systems. 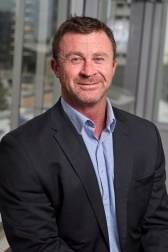 Experience: Chief Executive, Patient Opinion Australia; Director - CFEP Pty Ltd, Assoc. Professor for School of Medicine, Griffith University and Hon. Senior Research Fellow School of Medicine, University of Exeter, UK; and Board Director for Health Leaders Australia. Areas of interest: Patient-centered health reform, healthcare evaluation including multi-source feedback, accreditation and training health professionals. Experience: Chris is the CEO of Hear and Say having been with the organisation since 2007. Hear and Say has matured significantly over this time with a growing staff providing support to children who are deaf, and their families across Queensland from centres in Brisbane, the Sunshine Coast, Gold Coast, Toowoomba and Townsville. The Hear and Say eHealth program also delivers services and support to rural or remote families and to other families, through geographic or demographic isolation are, unable to visit one of the five Hear and Say offices. Building on the longstanding expertise in paediatric hearing loss, Hear and Say has expanded their services to include school and community hearing screening, limited adult programs and other training, research and innovative clinical programs in order to support a broader cross section of the Australian population. Chris is currently the Chair and a Member of First Voice, a national alliance of member organisations shaping public policy, clinical practice, research and funding related to community hearing health especially relating to children with sensorineural hearing loss. Experience: Jane is currently a practicing Wellness Nurse at Barcaldine Medical Centre caring for people with mental illness and chronic disease. She has 25 years’ experience as a Registered Nurse and Midwife working across rural and remote communities in Western Queensland. Working as a Registered Nurse and living as part of a rural and remote community has provided Jane with unique insights to the issues of working in rural Queensland and the challenges that go hand in hand with this. 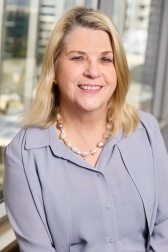 Jane is a graduate of the Australian Institute of Company Directors and holds several key Board appointments including: Chair of the Central West Hospital and Health Service (CWHHS) Board since May 2016. She has been a Board Member of Central West Hospital and Health Service since its inception in 2012. Member of the Qld Mental Health Drug and Alcohol Advisory Council, Board Director, Queensland Music Festival Board, Chair of Central West Rural Wellness Network and Member of the Central West Royal Flying Doctor Advisory Group.